There were a lot of smiles on Wall Street today as stocks surged right out of the gate and never let up. The Dow closed 159 points higher. The Nasdaq composite and S&P 500 also finished the day with solid gains. The Nasdaq was up 0.85% and the S&P 500 0.8%. All three indexes are now positive for the week, quite the turnaround from yesterday's losses. Today's trading session just missed becoming the 8th day this year with a positive swing of 1% or more. The Dow finished just below the 1% mark. The big news of the day was retail stocks. 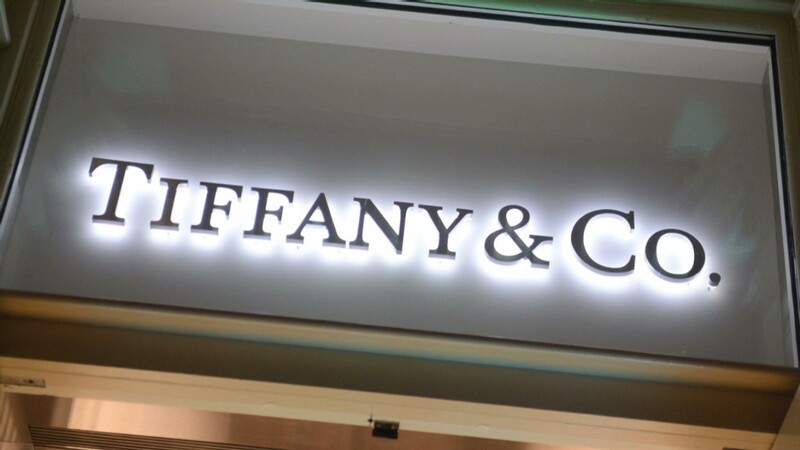 Tiffany & Co, (TIF) American Eagle Outfitters (AEO) and Lowe' (L)s reported earnings. Results continue to be mixed as some consumers are navigating the shifts to online sales and changing consumer preferences and spending habits better than others. Tiffany's soared 9% to all-time highs after posting strong sales growth and profits that were 50% higher than the same time last year. The stock traded at $97.40 a share at one point today. The jewelry store is one of many retailers benefiting from higher spending among wealthy shoppers. "$10k engagement ring, bought in 1987 is probably worth 2k today. 10k invested in Tiffany stock in 1987, is worth 520k today," noted StockTwits user TheStevensReport. American Eagle shares finished more than 6% lower after the teen clothier reported lower revenue and profits that fell 15% from a year ago. The company said in a statement that it would be closing 100 stores over the next three years, with around 70 AE and pre-teen-focused Aerie locations closing by the end of the year. Lowe's ended modestly lower. Earnings rose despite the winter weather slowdown, but they missed analysts' expectations. That said, the company is optimistic about the future. Despite releasing earnings showing that it continues to struggle in the wake of December's data breaches, Target (TGT) stock finished 1% higher. It seems investors had already priced in the worst. Finally, there was more bite than bark for PetSmart (PETM), which closed more than 8% lower after reporting higher than expected quarterly earnings on lower than expected sales. It's one of the worst performers in the S&P 500 today. Netflix (NFLX) enjoyed a pop, up more than 5% for the day on news that it's planning a further expansion into Europe by the end of the year. Binge watching is coming to Germany and France, among other nations. 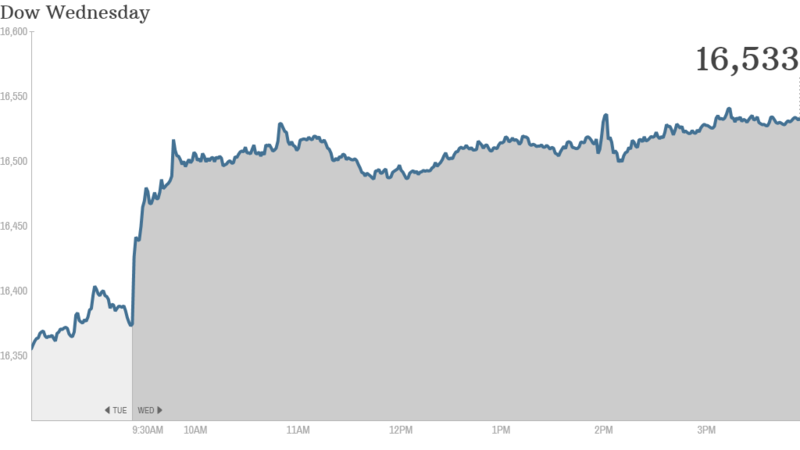 Many popular tech stocks are up slightly for the day in a rebound from yesterday. Nokia (NOK) finished up almost 4% following a stock upgrade from Deutsche Bank. Meanwhile customer relationships site SalesForce (CRM) was one of the biggest losers in the S&P 500, with shares down 5% despite posting preliminary revenue that was 37% higher than the same time last year as it, like many tech companies, continues to lose money. Shares of auction site eBay (EBAY)fell earlier in the day after it reported a data breach affecting user accounts and passwords, but ended the day flat. Lorillard (LO), which owns cigarette brands such as Newport and Maverick, was on fire at the end of the day Wednesday. The stock jumped over 10% after Reuters reported Reynolds American (RAI) is in talks to buy the company. Reynolds shares were up more than 4%. The Federal Reserve Board of Governors, which determines interest rates, released the minutes for its April meeting. It turned out to be a yawner. There wasn't anything new as they continued to discuss ways to bring their bond-buying program to a close over the coming months. Asian marked ended the day mixed, with Thailand's SET up around 0.6%. The Thai military announced the imposition of martial law, but this morning said that it would hold meetings with opposition leaders.